The Emerald-Blue Pacific is Just Moments Away Ideally Located at the Gateway to Wailea . . .
Just Steps from the Emerald-Blue Water of the Pacific and Mile-long Golden sands of Stunning ‘Kamaloe Beach – at the Gateway to Wailea – your South Shore Oceanview Maui Vacation Condo Getaway beckons your call at the Delightful Vista Resort. In a 10-acre Setting of Lush Tropical Grounds and Gardens – amidst Swaying Coco Palms – Choose from Studio, 1 & 2-Bedroom Maui Condo Rentals appointed in a Tropical-rattan motif. Our Mile-Long Stretch of Beach is Incredible . . . Ideal for Long Walks, Swimming, Snorkeling and Sunning. Savor the Views from the Privacy of your own Lanai, as the Gentle Trade Winds Caress your Senses from your own Maui Vacation Condo. Appointments of your Island Getaway feature Custom Furnishings with a Tropical flavor, Fully-Equipped Kitchens, A/C, Daily Maid Service, Color-Cable TV’s and VCR’S. 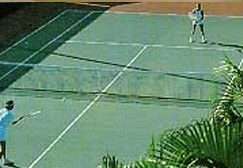 For your Added Vacation Pleasure, Enjoy a Set of Tennis on our Lighted Courts, Take A refreshing dip in our Pools, then prepare your favorite Meal on our Gas BBQ’s . . . as you drink in the Splendor of another Magical Maui Sunset. Adjacent Championship Golf is nearby . . . with a fantastic array of Shops & Restaurants just Moments Away. 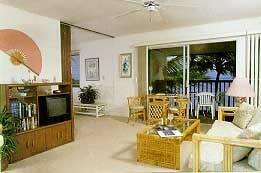 Welcome to the Ideal South Shore Oceanview Maui Condo Vacation Getaway . . . A Beach Lover’s Paradise Just Steps to the Sand at the Gateway to Wailea . . . at the Tropical Vista Resort! 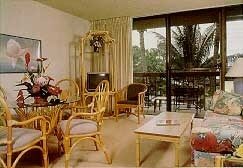 Your South Shore Maui Vacation Condo Getaway features your choice of Studio Suites ideal for 2; Roomy 1-Bedroom Maui Vacation Condo Rentals that accommodate 4 Guests; Or Spacious 2-Bedroom Hawaii Vacation Condos that sleep up to 6. All Linens & Towels Provided. Large Private Lanais with Beautiful Views.